JK Damp Proofing - Builder, Damp Proofer based in West Bridgford, Nottinghamshire. 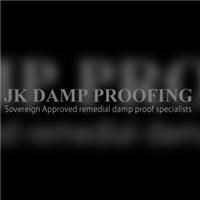 JK DAMP PROOFING is a trusted small professional business with high standards. We pride ourselves on quality workmanship and will always leave the work place exceptionally tidy. A Sovereign technician and I are available to view any unused cellar spaces. We will give you the confidence that such an unrealistic, dark, damp space can actually be transformed into a light and airy room. Maybe you need a playroom, bedroom, cinema room or just a dry well ventilated space to store your belongings. All our work is Sovereign approved and we offer up to a 30 year genuine guarantee. · Damp proof courses (DPC) with re plastering if required.